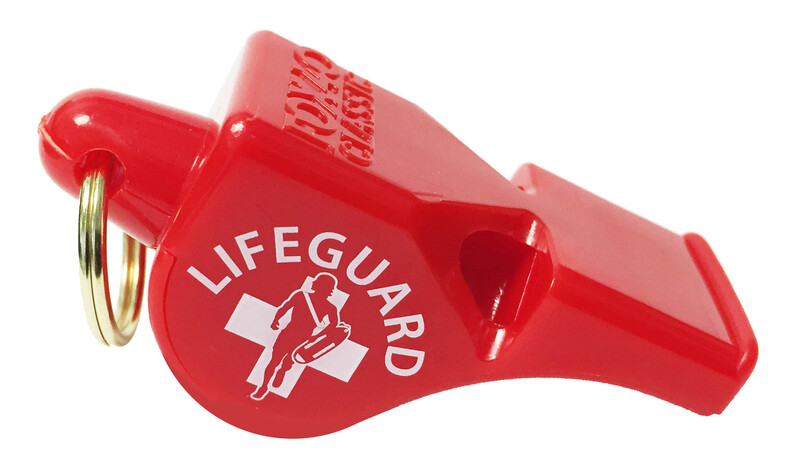 The Running Lifeguard Whistle is a Limited Edition Fox 40 Classic whistle. This whistle depicts a traditional lifeguard and cross with the famous WSP lifeguard running through the middle of the cross. This offers the same great features as a traditional Fox 40 Classic along with some added style.Get yours before it is too late! 3-chamber pealess design with Lifeguard Logo imprinted in white. Pros: Fox 40 whistles are the best for alerting and saving people and this limited edition model makes it even more special. Cons: The classic Fox 40 is a litttle big nad unfortunately the mini Fox 40 is discontinued.